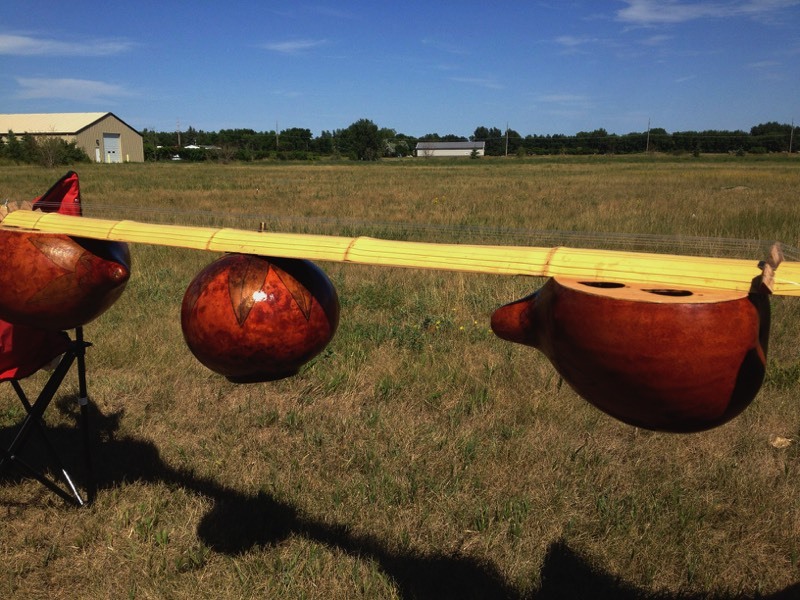 Gourd Harp | Got Wind? Make Music! 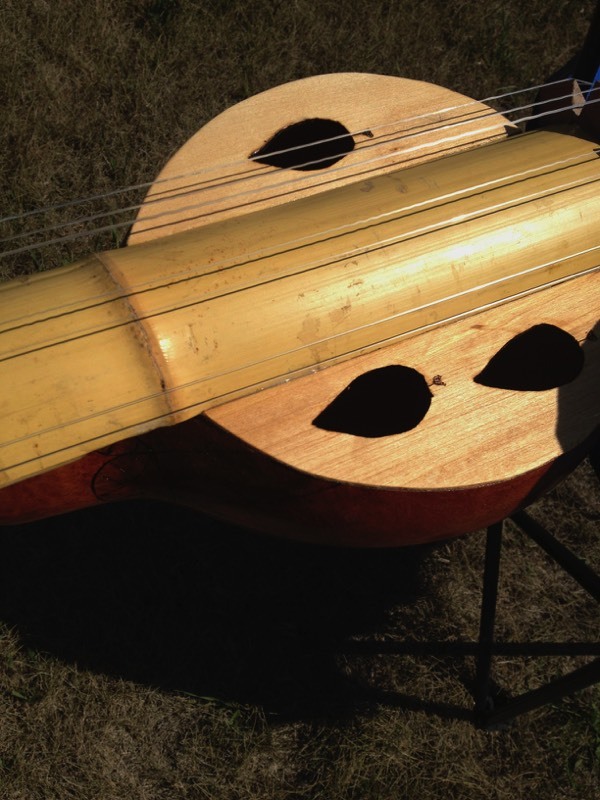 The gourd harp has much in common with the Indian sitar and similar instruments. 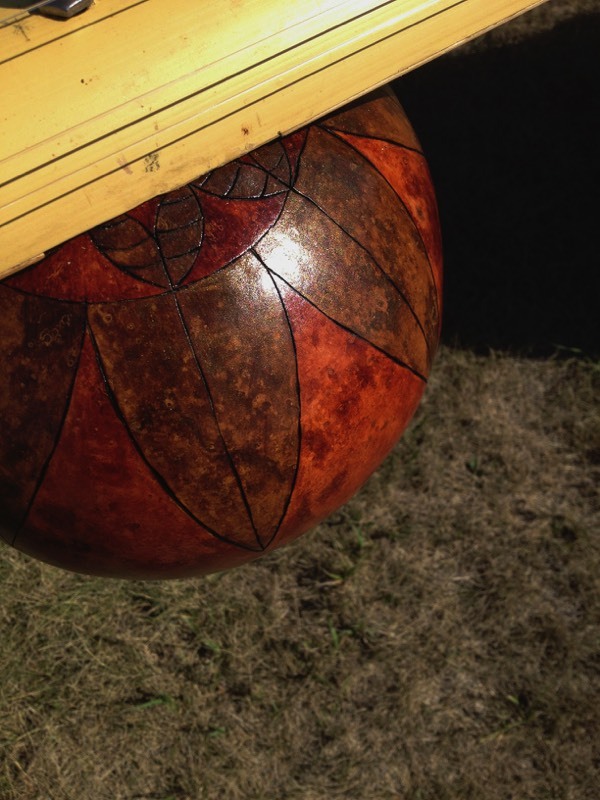 Two of the gourds are resonators in the traditional sense, like a guitar or sitar's soundbox. The middle gourd resonates through a hollow tube into the gourd. 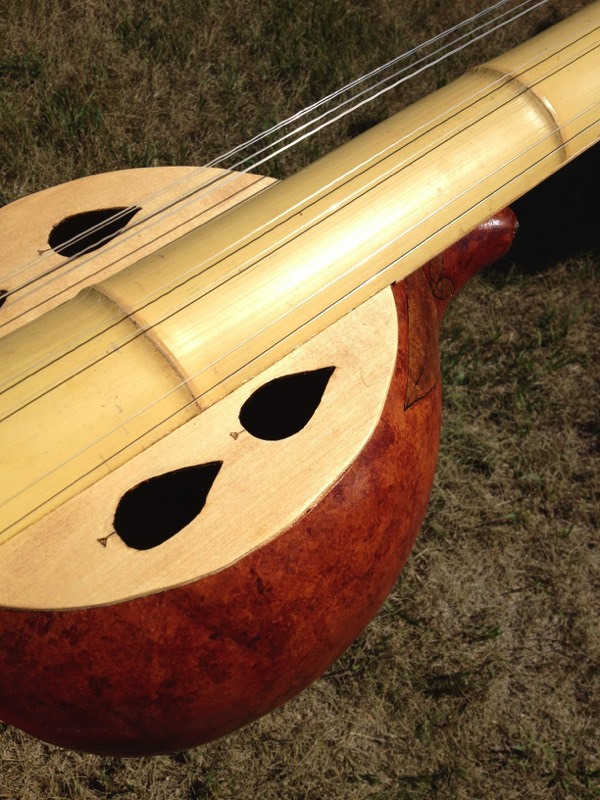 The bamboo "neck" is like a sitar or guitar neck reversed so that the curve is on the top, which makes the air movement more efficient. The underside is enclosed, adding more space for resonation. I will try to post more detailed pictures soon. 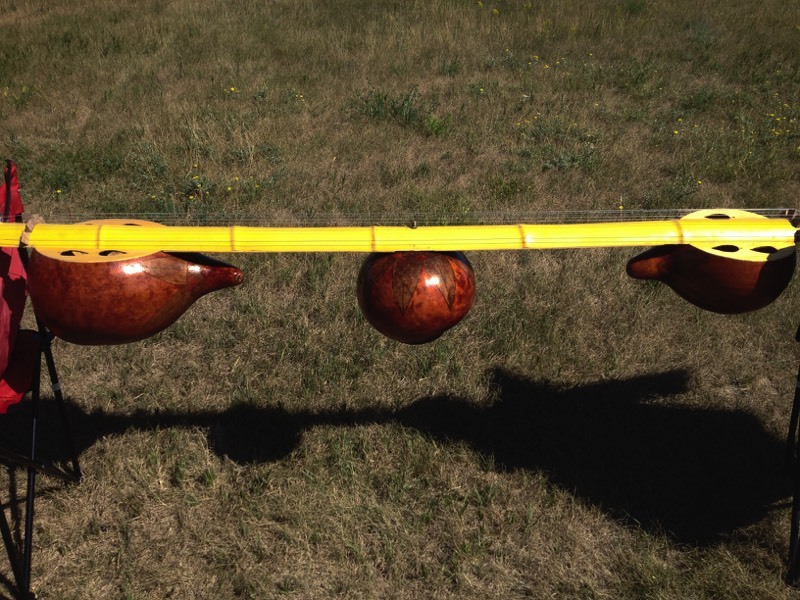 The two outside gourds are great resonators. It sounds great.